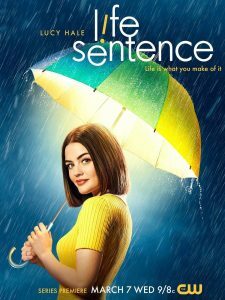 “Life Sentence” is an comedy-drama series that has recently launched on the small screen on the CW network. The series premiered on Mar. 7, right after “Riverdale,” and has been receiving a lot of feedback since. The show stars “Pretty Little Liars'” Lucy Hale as Stella Abbott, a young woman who has been diagnosed with terminal cancer for a couple of years. This leads her to live like there is no tomorrow, with the help of her friends and family. She then finds out by her doctor that she is cured of her illness. Slowly she begins to realize all the sacrifices that her family has been making to keep her happy, such as her sister giving up her career in writing to help take care of Stella. Stella deals with a number of sticky situations and struggles to cope with the world that she once thought she knew. The show delivers great comedic lines that don’t come off awkward, but actually rather enjoyable. The majority of the plot seems to lean toward a light, heartfelt theme that can leave the audience with a positive outlook on life. There are also scenes that demonstrate what cancer patients face during that hard time of their life. The show’s portrayal of the Abbott family delivers comedy while also exploring the sadness resulting from divorce, the difficulty in coping with loss and experience of what it’s like to step out of normality. Juanita Lorenzo gave the series a try and has kept up with the episodes thus far. “So far I like it. The shows seems to be more cute, maybe because of Lucy Hale, but I still find it enjoyable,” shared Lorenzo. Currently, the CW is filled with more action and comic book oriented television shows, such as “The Flash” and “Supernatural,” that have successfully continued for many seasons. But, this is not the first time the CW has tried to steer away from fantasy to develop a more realistic drama series. They have the success of “Jane the Virgin,” which has landed much praise from critics. “I see the CW doing a good job with its other shows that revolve around with the combination of action, comedy and comics. But seems to fall a little when it comes to creating a show that doesn’t involve that stuff,” said Lorenzo. The comedy, advice on life and character chemistry are already done well, but with a better constructed story-line, the show may have the chance of becoming more successful. “I plan to keep on watching. I want to see where its first season leads towards to. Hopefully something interesting that would keep me craving for its next season. But we’ll see,” shared Lorenzo. The series is currently in its mid-season new episodes air on Friday night.